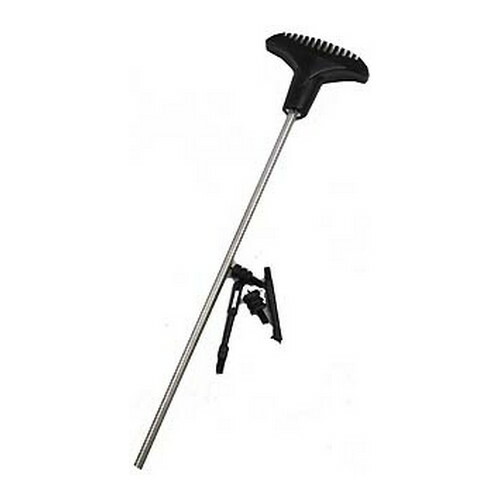 One end has traditional-size bristles for cleaning large areas. 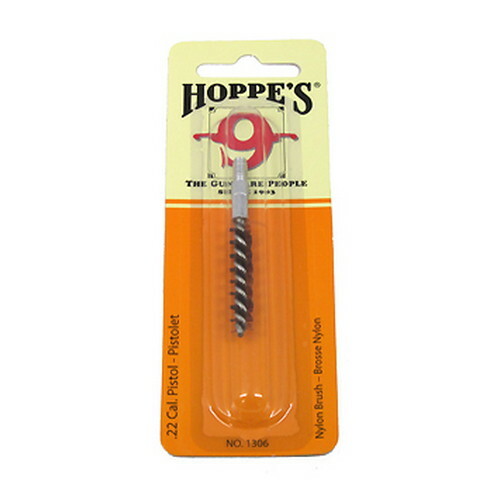 The other end features smaller bristles for getting into tighter spots. Brushes are non-breakable and can dig out dirt without scratching metal. 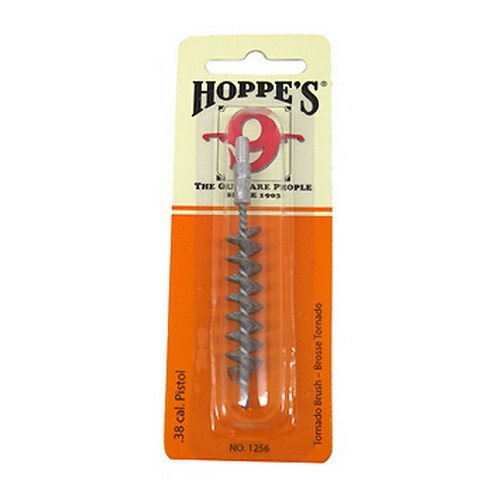 They're perfect for cleaning breeches in firearms, or great as all-purpose cleaning brushes. 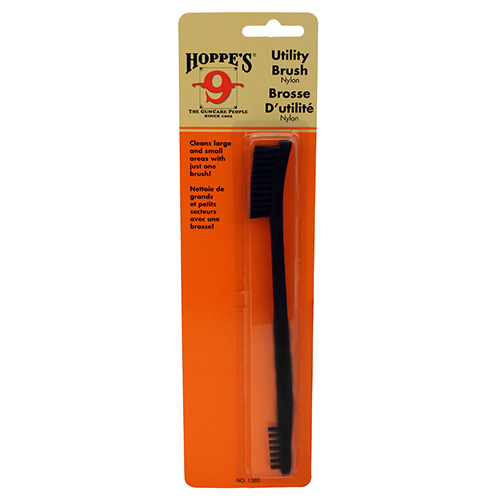 Be the first to review “Hoppes Utility Brush Nylon” Click here to cancel reply.